Fresh off his trip abroad, the presumptive Republican presidential nominee Mitt Romney accused President Obama of undermining America’s competitiveness in Olympic and international sports competitions. He also played on perceptions that the president had ceded American sovereignty to world athletic organizations. “I will never seek permission from the International Olympic Committee, before deploying our athletes into foreign lands,” Mr. Romney said. The centerpiece of Mr. Romney’s critique was the president’s anti-doping policy. “The president has put crippling sanctions in place, that force companies like Balco to produce performance enhancing drugs in China,” he said. The broadside from Mr. Romney comes atop unfavorable news coverage for the Coach in Chief. An article in the Wall Street Journal quotes an anonymous White House official as saying that the president booed the Israeli team, while watching the Olympic Games’ opening ceremonies. And Donald Trump made a sensational claim about the president, during an appearance on Fox and Friends. “My investigators have uncovered unassailable proof that Barack Obama played on the 1984 Kenyan Olympic basketball team,” he said. White House Press Secretary Jay Carney depicted the recent criticism of the president as a distraction. “The Republicans are using these issues to avoid talking about the inequality between the one-percent of athletes who get endorsement deals, and the average Olympian who has to hold down multiple jobs while training,” Mr. Carney said, at his daily press briefing. Later in the day, while visiting a Gold’s Gym, the president reaffirmed his stance on performing enhancing drugs. “We need to invest in alternative forms of muscle building, like energy drinks and power bars,” he said. Mr. Gibbs responded quickly to Mr. Sununu’s comment. “If Mr. Romney were president all our gold medalists would get outsourced to the Cayman Islands Olympic team,” Mr. Gibbs said. 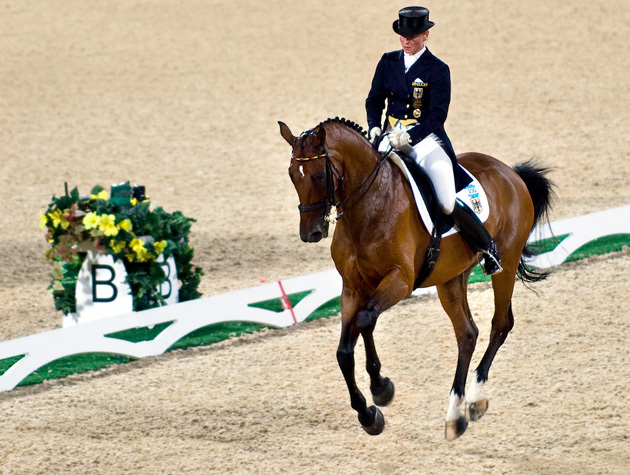 The campaign even reached overseas, when British Prime Minister David Cameron was asked about the Olympic dressage competition, which features a horse owned by Mr. Romney and his wife, Ann. A version of this essay appeared in the Baltimore Sun. 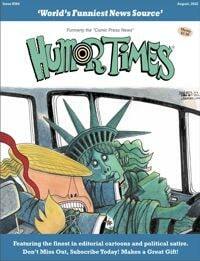 This “fake news” article is part of the Humor Times Faux News series, satirizing real news stories, politicians and celebrities of the day. If you have ideas for fake news articles (even if not totally fleshed out yet), contact us, and if we like it, we’ll contact you about using them. Meanwhile, tell your friends about us! Thank you. Ben Krull is a Family Law attorney in New York and a freelance writer. His essays have appeared in The New York Times, Baltimore Sun, Pittsburgh Post-Gazette and other publications.